The five crew members identified Wednesday were on warplanes crashed into the sea south of Japan's Shikoku island. 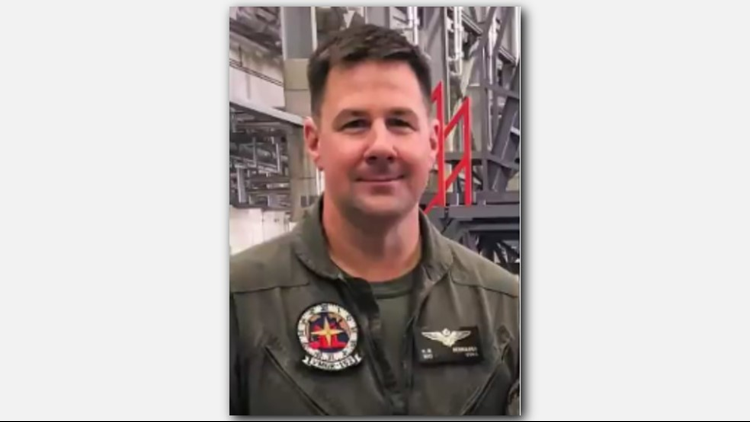 TOKYO (AP) - The U.S. military has identified five Marines who were declared dead after their refueling plane collided with a fighter jet last week off Japan's southern coast. One Marine, Lt. Col. Kevin R. Herrmann, was a North Carolina native. USNI news reports Herrmann served 16 years in the Marine Corps. His decorations include the Air Medal with twenty-four Strike Flight Awards, two Navy and Marine Corps Commendation Medals, and two Navy and Marine Corps Achievement Medal. He is survived by his wife and three daughters. He was promoted to the rank of Lt. Col. posthumously. The five crew members were on a KC-130 Hercules refueling aircraft that collided with an F/A-18 Hornet during regular training. The warplanes crashed into the sea south of Japan's Shikoku island.